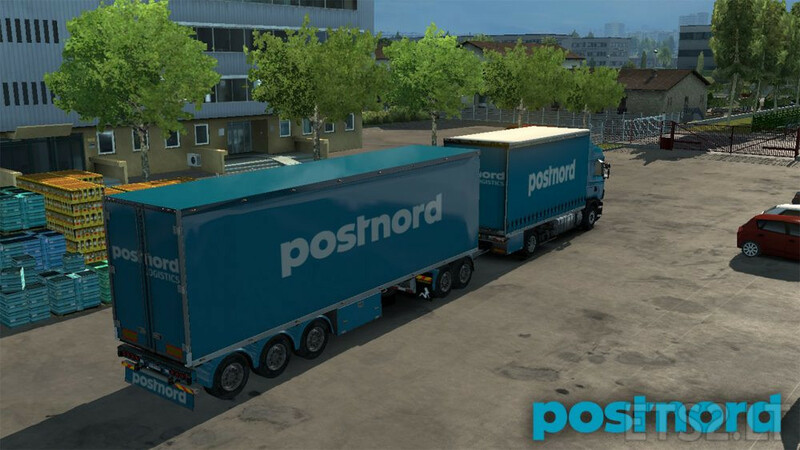 This is a postnord paintjob for the the BDF Pack from Flemming V, If you do not have the pack then this paintjob will not work. It aslo requires higher priority over the tandem mods such as Scania RS Tandem by capital, Scania T Tandem by capital. It basically works with every tandem as long as the paintjob mod has higher priority. Does it work with Flemming’s BDF an the normal Trailer in Scandinavia?